Bifold leather wallet stamped & embossed for a lizard appearance. Each one comes with a shotgun shell and are securely riveted on the leather. The shells are not glued. My leather wallets with shotgun shells are a top seller! 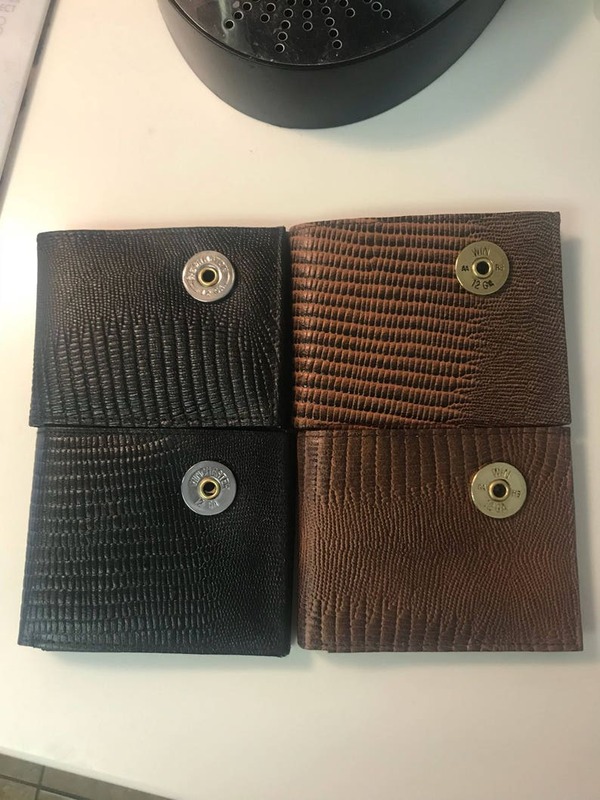 This listing only for these 2 colors of the lizard embossed leather wallets.